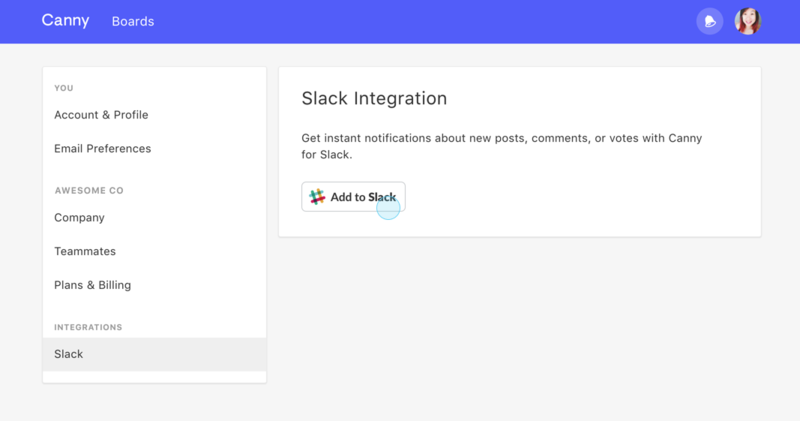 Set up our Slack integration to get notifications for new posts, votes, comments, and status changes. 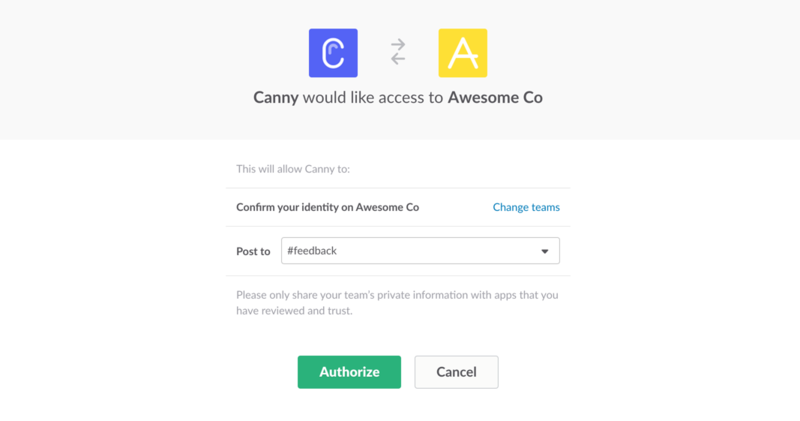 Connect Canny to one of your Slack channels to get instant notifications on a specific board and your chosen events. That's it! If you want to add notifications to another channel, just repeat steps 2-4. 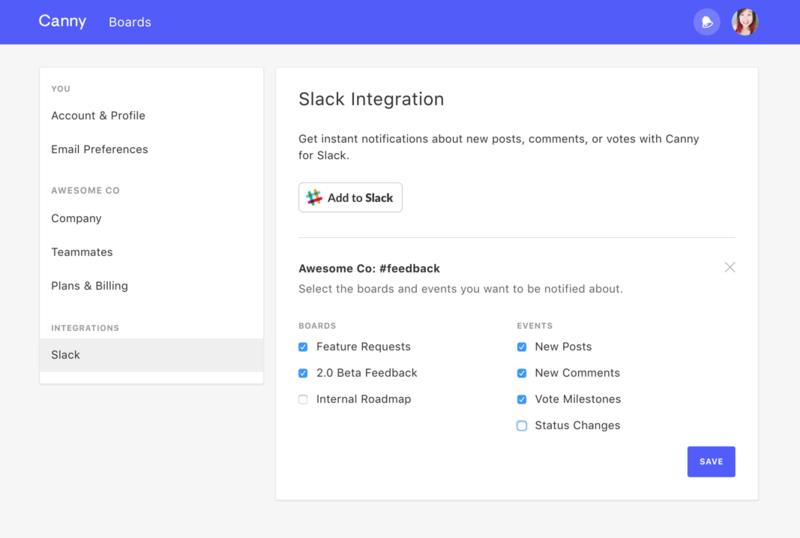 Note: Any time you add a new board, you'll need to enable it here to get notifications from it.